Situated principally on the right bank of the River Seine, it also includes the west end of the Île de la Cité. The arrondissement is one of the oldest in Paris, the Île de la Cité having been the heart of the city of Lutetia, conquered by the Romans in 52 BC, while some parts on the right bank (including Les Halles) date back to the early Middle Ages. Located on the right bank of the River Seine, the 2nd arrondissement, together with the adjacent 8th and 9th arrondissements, hosts an important business district, centered on the Paris Opéra, which houses the city's most dense concentration of business activities. 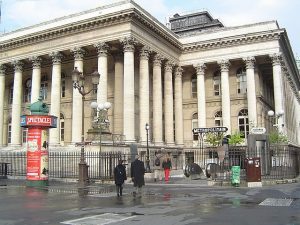 The arrondissement contains the former Paris Bourse (stock exchange) and a large number of banking headquarters, as well as a textile district, known as the Sentier, and the Opéra-Comique concert hall. The 3rd arrondissement of Paris, situated on the right bank of the River Seine, is the smallest in area after the 2nd arrondissement. The arrondissement contains the northern, quieter part of the medieval district of Le Marais. The oldest surviving private house of Paris, built in 1407, is to be found in the 3rd arrondissement, along the rue de Montmorency. The 4th arrondissement contains the Renaissance-era Paris City Hall. 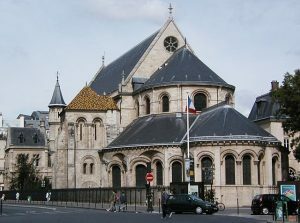 It also contains the Renaissance square of Place des Vosges, the overtly modern Pompidou Centre and the lively southern part of the medieval district of Le Marais, which today is known for being the gay district of Paris (while the more quiet northern part of Le Marais is contained inside the 3rd arrondissement). 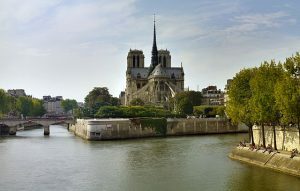 The eastern parts of the Île de la Cité (including Notre-Dame de Paris) as well as the Île Saint-Louis are also included within the 4th arrondissement. Situated on the left bank of the River Seine, the 5th arrondissement is one of the central arrondissements of the capital. 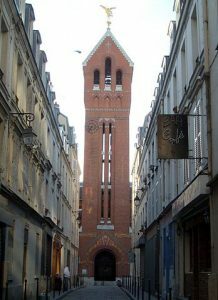 The arrondissement is notable for being the location of the Quartier Latin, a district dominated by universities, colleges, and prestigious high schools. It is also one of the oldest districts of the city, dating back to ancient times. Traces of the area's past survive in such sites as the Arènes de Lutèce, a Roman amphitheatre, and the Thermes de Cluny, a Roman thermae. The 6th arrondissement of Paris includes world-famous educational institutions such as the École des Beaux-Arts de Paris and the Académie française, the seat of the French Senate as well as a concentration of some of Paris's most famous monuments such as Saint-Germain Abbey and square, St. Sulpice Church and square, the Pont des Arts and the Jardin du Luxembourg. Situated on the left bank of the River Seine, this central arrondissement which includes the historic districts of Saint-Germain-des-Prés and Luxembourg has played a major role throughout Paris history and is well known for its café culture and the revolutionary intellectualism and literature it has hosted. 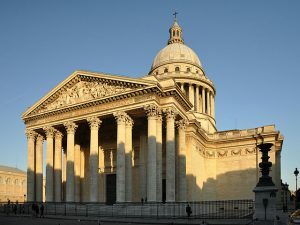 The 7th arrondissement of Paris includes some of the major tourist attractions of Paris, such as the Eiffel Tower and the Hôtel des Invalides, and a concentration of such world-famous museums as the Musée d'Orsay, Musée Rodin, and the Musée du quai Branly. Situated on the Rive Gauche—the "Left", or Southern, bank of the River Seine—this central arrondissement, which includes the historical aristocratic neighborhood of Faubourg Saint-Germain, contains a number of French national institutions, among them the French National Assembly and numerous government ministries. It is also home to many foreign diplomatic embassies, some of them occupying outstanding Hôtels particuliers. 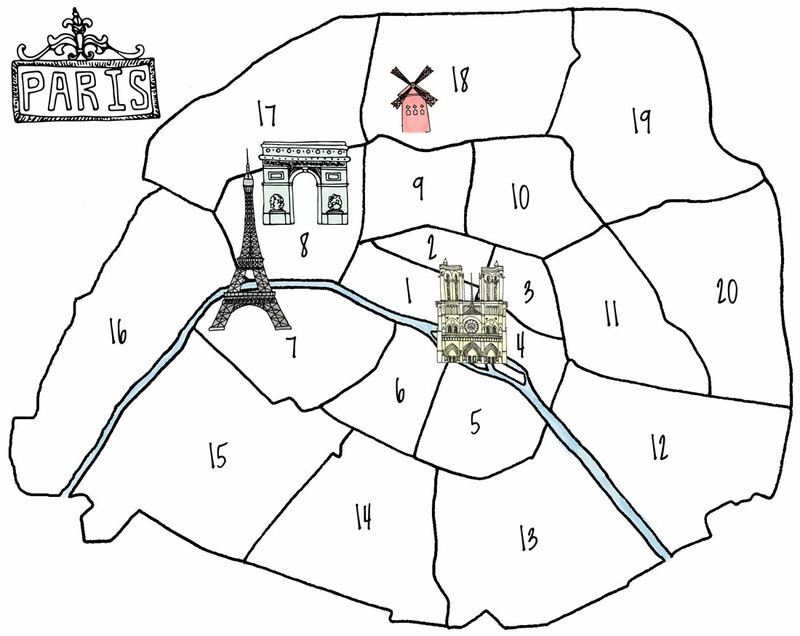 Situated on the right bank of the River Seine and centered on the Champs-Élysées, the 8th is, together with the 1st, 9th, 16th and 17th arrondissement, one of Paris's main business districts. According to the 1999 census, it was the place of employment of more people than any other single arrondissement of the capital. 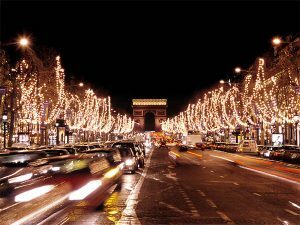 It is also the location of many places of interest, among them the Champs-Élysées, the Arc de Triomphe and the Place de la Concorde, as well as the Élysée Palace, official residence of the President of France. The 9th arrondissement (IXe arrondissement), located on the Right Bank, is one of the 20 arrondissements of Paris, France. It contains many places of cultural, historical and architectural interest, including the Palais Garnier, home to the Paris Opera, Boulevard Haussmann and its large department stores Galeries Lafayette and Printemps. Along with the 2nd and 8th arrondissements, it hosts one of the business centers of Paris, located around the Opéra. Situated on the right bank of the River Seine, the 10th arrondissement contains two of Paris's six main railway stations: the Gare du Nord and the Gare de l'Est. Built during the 19th century, these two termini are among the busiest in Europe. It also contains a large portion of the Canal Saint-Martin, linking the northeastern parts of Paris with the River Seine. Situated on the Right Bank of the River Seine, the 11th is one of the most densely populated urban districts not just of Paris, but of any European city. To the west lies the Place de la République, which is linked to the Place de la Bastille, in the east, by the sweeping, tree-lined Boulevard Richard-Lenoir, with its large markets and children's parks. 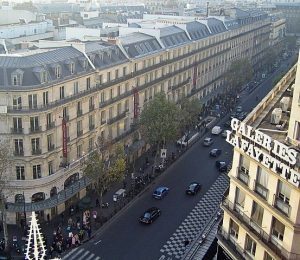 The Place de la Bastille and the rue du Faubourg St Antoine are full of fashionable cafés, restaurants, and nightlife, and they also contain a range of boutiques and galleries. Situated on the Left Bank of the River Seine, the 13th arrondissement is home to Paris's principal Asian community, the Quartier Asiatique, located in the southeast of the arrondissement in an area that contains many high-rise apartment buildings. The 13th arrondissement also hosts the Bibliothèque François Mitterrand and the newly built business district of Paris Rive Gauche. Situated on the left bank of the River Seine, the 14th arrondissement contains most of the Montparnasse district. It is today best known for its skyscraper, the Tour Montparnasse, and its major railway terminus, the Gare Montparnasse, both located in the neighboring 15th arrondissement. 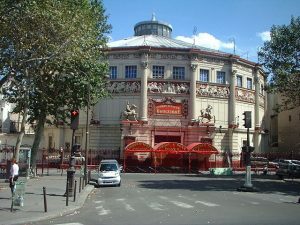 The district has traditionally been home to many artists as well as a Breton community, arrived at the beginning of the 20th century upon the creation of the Montparnasse railway terminus. 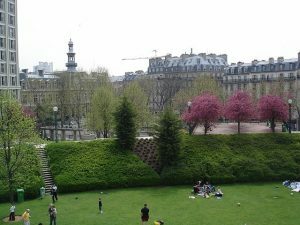 The 14th arrondissement also contains the Cité Internationale Universitaire de Paris, which is located near the Parc Montsouris and the Stade Charléty. 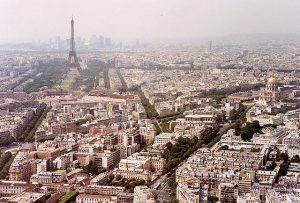 Situated on the Rive Gauche (left bank) of the River Seine and sharing the Montparnasse district with the 6th and 14th arrondissements, the 15th arrondissement is the city's most populous arrondissement. The Tour Montparnasse – the tallest skyscraper in Paris – and the neighbouring Gare Montparnasse are both located in the 15th arrondissement, at its border with the 14th. 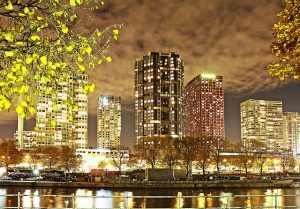 It is also home to the convention center Paris expo Porte de Versailles and the high-rise district of the Front de Seine (or Beaugrenelle). The 16th arrondissement of Paris includes a concentration of museums between the Place du Trocadéro and the Place d'Iéna. 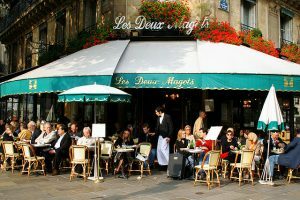 With its ornate 19th-century buildings, large avenues, prestigious schools, museums and various parks, the arrondissement has long been known as one of French high society's favorite places of residence to such an extent that the phrase le 16e has been associated with great wealth in French popular culture. The 16th arrondissement hosts several large sporting venues, including: the Parc des Princes, Roland Garros Stadium, and Stade Jean-Bouin. The Bois de Boulogne, the second-largest public park in Paris, is also located in this arrondissement. Situated on the right bank of the River Seine, the 17th arrondissement of Paris arrondissement is divided in 4 administrative districts: Ternes and Monceau in the southwestern part, two upper-class districts which are more Haussmannian in style; in the middle of the arrondissement, the Batignolles district, an area mostly occupied by young families or couples, with a marked gentrification process; in the northeastern part, the Épinettes district, a former industrial district gone residential, which is mainly middle class and also experiencing a less advanced gentrification process. 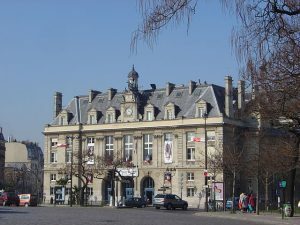 The town hall of the 17th arrondissement is on Rue des Batignolles. 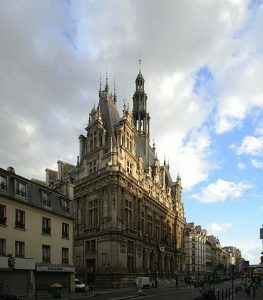 It is the only town hall of Paris to be located in a modern building. The 17th arrondissement also hosts the Palais des Congrès of Paris, which is a large exhibition center with an associated high-rise hotel, the Hyatt Regency Paris Étoile, the largest in the city. The 18th arrondissement, located on the Rive Droite (Right Bank), is mostly known for hosting the district of Montmartre which contains a hill known for its artistic history, the house of music diva Dalida, the Moulin Rouge cabaret, other historic features, and the prominent Sacré Cœur basilica which sits atop the hill. The 18th arrondissement also contains the African and North African district of Goutte d'Or which is famous for its market, the marché Barbès, where one can find various products from the African continent. 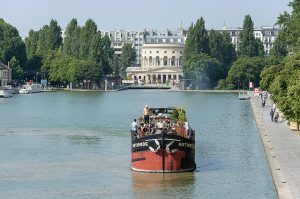 Situated on the Right Bank of the River Seine, the 19th arrondissement is crossed by two canals, the Canal Saint-Denis and the Canal de l'Ourcq, which meet near the Parc de la Villette. The 19th arrondissement includes two public parks: the Parc des Buttes Chaumont, located on a hill, and the Parc de la Villette, which is home to both the Cité des Sciences et de l'Industrie, a museum and exhibition centre, and the Conservatoire de Paris, one of the most renowned music schools in Europe and part of the Cité de la Musique. 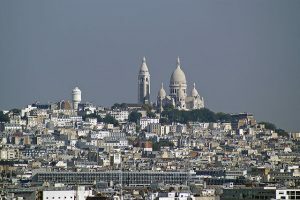 The 20th arrondissement (also known as "arrondissement de Ménilmontant"), located on the Right Bank, contains the cosmopolitan districts of Ménilmontant and Belleville. It is also internationally known for the Père Lachaise Cemetery where one can find the tombs of many famous composers, writers, painters, musicians, and the playwright Molière. 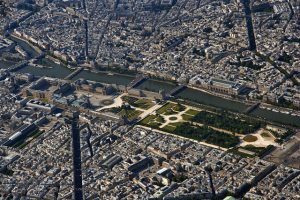 Hovering over the different areas or arrondissements of Paris will display a highlight of that area. Clicking will load more information about that arrondissement in the panel on the left, including the name, a photo, and some text.